Although the TTIP (Transatlantic Trade and Investment Partnership) would be the biggest bilateral agreement of its kind, naysayers have been vocal about the lack of transparency in negotiations, environmental and health concerns and more. CETA, the Comprehensive Economic and Trade Agreement between the EU and Canada, has also been nicknamed the TTIP’s "little brother". The following are the results of the latest section of the Luxemburger Wort’s PolitMonitor poll concerning TTIP and CETA, released Thursday. 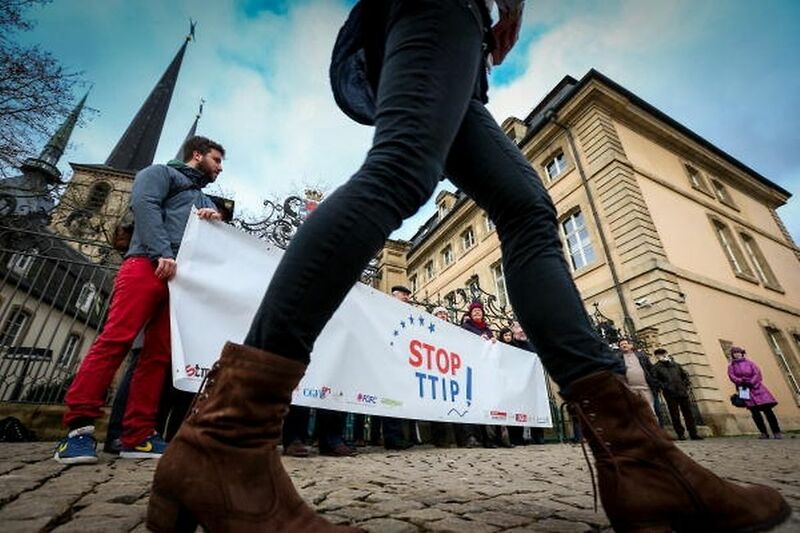 A total of 90 percent of foreign residents had heard about CETA and TTIP, compared to 87 percent of Luxembourgish residents. However, when asked whether they knew more precisely what it was about, only 57 percent of foreign residents knew what the agreement was about (47 percent on a basic level, 10 percent more precisely). This compares to 70 percent of Luxembourgish residents overall who knew what the agreements were about (58 percent on a basic level, 12 percent more precisely). The percentage of foreign residents versus Luxembourgish residents who felt the partnerships would bring more advantages to Europe were relatively close (19 versus 15 percent, respectively). However, when broken down by party line, the results were much more distinct: 92 percent of déi Lénk voters and 78 percent of déi Gréng voters surveyed believed the deals would be more disadvantageous to Europe, compared to 45 percent of CSV voters at the other end of the spectrum. See graph below. When asked whether the current TTIP negotiations should be continued or suspended, results were rather similar: there was not much difference between opinions expressed by Luxembourgish versus foreign residents, with 42 percent versus 39 percent believing the negotiations should be suspended, respectively. This time, 75 percent of déi Lénk voters and 57 percent of déi Gréng voters believed the negotiations should be suspended, compared to the CSV (34 percent) and DP (31 percent) on the other end of the spectrum. See graph below. For this PolitMonitor, a sample size of 1,024 people over age 18 were surveyed, 67 percent via internet and the remainder by telephone. Of the total sample, the breakdown of electoral constituency is as follows: 336 in the centre, 339 in the south, 194 in the north and 155 in the east.